Flowerfolk Design is a member of the Slow Flowers Network and uses locally grown and American grown flowers. 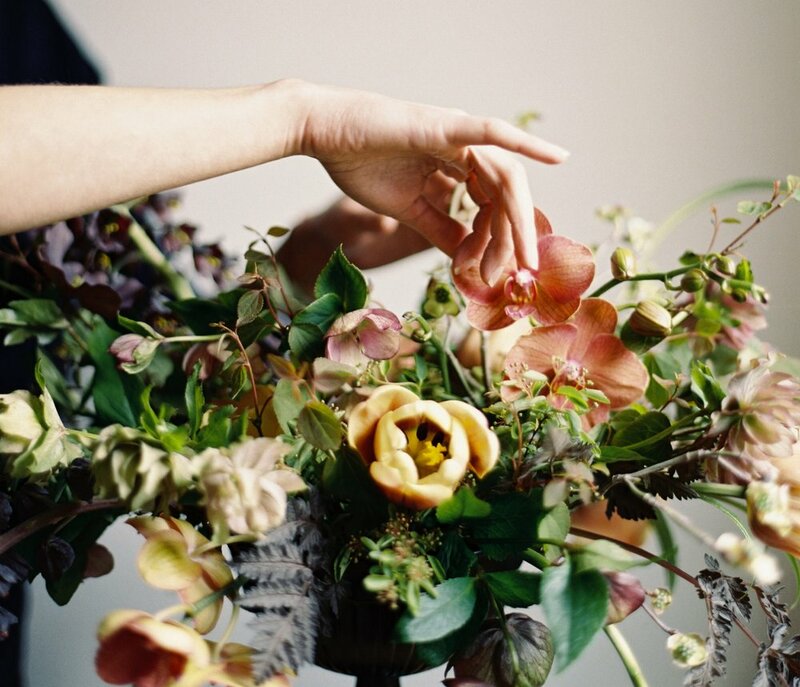 We use eco friendly practices in our studio, and support our local flower farmers. We are an independently owned, woman owned and operated small business serving Bainbridge Island, Seattle, Tacoma, the San Juan Islands and beyond. We are available to travel within the Northwest (Washington, Oregon and parts of Idaho). I'm a dreamer, avid reader, and a lover of nature. I began working with flowers by chance, at a charming shop in Key West that needed an extra hand. That job left an impression. Several years and thousands of miles later I sought out the opportunity to learn the floral design trade in earnest, and was fortunate enough to land an internship with the incredibly talented Kelly Sullivan of Botanique, who introduced me to the Slow Flowers movement and the local flower scene. For several years I worked as a freelance designer on weddings all over Western Washington, learning on the job from skilled mentors and peers. In 2015 I founded Flowerfolk Design, with the intention to bring my own unique aesthetic to lovebirds and merrymakers throughout the Northwest. While designing I consider the season, the space where the flowers will be displayed, the story and mood that they should convey, and your personality and vision. My goal is always to wow you and your guests! That said, I am convinced that flowers are more than decoration. They hold the power to call up memories from the deep, or to suggest a place and time only visited in the imagination. They can stimulate our senses with their exuberance, and inspire tender, thoughtful moments. In short, they are magical. It would be my great pleasure to share the magic with you and yours.